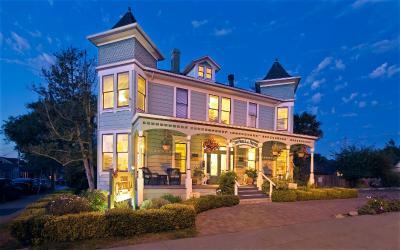 Lock in a great price for Centrella Inn – rated 8.8 by recent guests! The staff was great. Breakfast was very good. 24 hour coffee. Room and location was well maintained. My daughter and I did not have a cooked breakfast, just toast etc. and coffee, that was enough. Cocktail hour was pleasant and we met 2 very nice fellow travelers from the San Diego area. The area in the courtyards was quiet and very attractive. Nice staff. Charming place. We would stay here again. Great wine and chees E in the afternoon and delicious breakfast. Beds Are Very confortable. Location is awesome! Can’t Go wrong! Great location to walk to town and beaches. Parking available and if not street parking is. Coffee and tea available 24 hours. Nice happy hour offered. 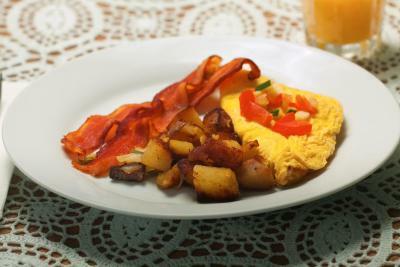 The breakfast was delicious. The sitting room, ambiance, evening wine, snacks and coffee were wonderful and inviting. The hotel staff was incredibly accommodating. There was a mixup in the number in our party and the hotel staff bent over backwards to ensure we were satisfied, at NO additional charge, and went above and beyond what we've experienced. This alone guarantees we will stay here again. Made to order breakfast was really nice, free parking is easy. Location is great as a jump off for Big Sur or for exploring nearby. Staff is extremely accommodating. We had some issues with our trip due to inclement weather, Centrella’s staff allowed us to adjust our reservation without any increase in rate, would definitely recommend them again! I loved the charm and character of the Inn. If there was one area for improvement I would say it would be the breakfast. Although it was nice, I expected there to be a little bit more in terms of quantity. (The ham and eggs was lacking a little) but apart from that it was exceptional. Central location, beautifully restored. Farmer's market one block away. Nice happy hour at night, good breakfast in the morning. Husband especially liked the cookies. 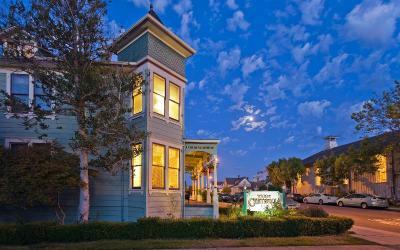 Centrella Inn This rating is a reflection of how the property compares to the industry standard when it comes to price, facilities and services available. It's based on a self-evaluation by the property. Use this rating to help choose your stay! 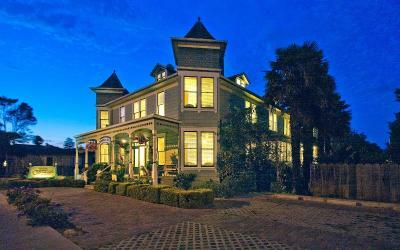 Centrella Inn offers unique Victorian-style accommodations in Pacific Grove. 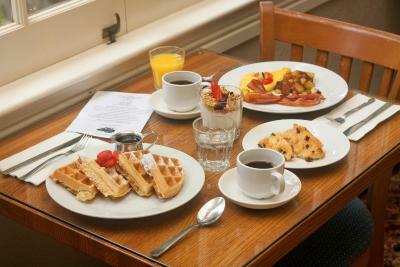 This 100% nonsmoking historic inn offers a full daily hot breakfast, free WiFi and free on-site parking. Lover's Point Beach 6 minutes’ walk away. Bike rentals are available. 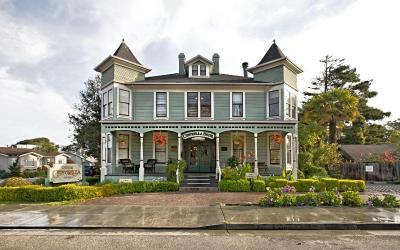 Guest rooms at this inn offer private bathrooms and telephones. Hair dryers and ironing facilities are also included in each uniquely styled guest room. 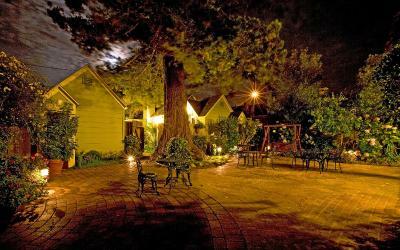 Guests of Centrella Inn are offered evening wine and snacks. 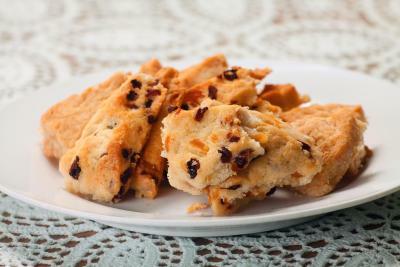 Coffee, tea and freshly baked cookies are also available each evening. 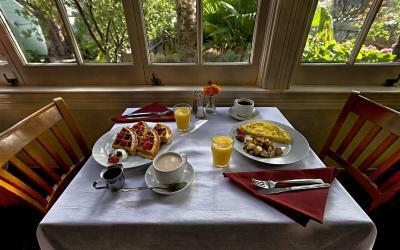 Tickets to the Monterey Bay Aquarium and Whale Watching Tours are offered at the front desk.Hot breakfast is included with a changing menu daily. 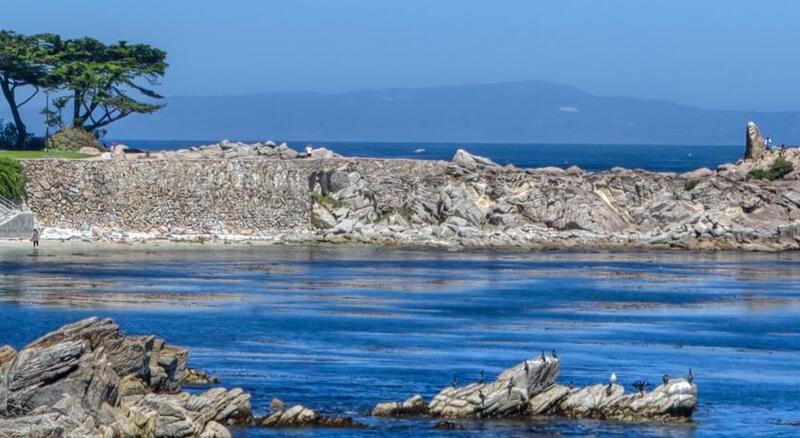 The Monterey Bay Aquarium is 3 minutes’ drive from Centrella Inn in Pacific Grove. 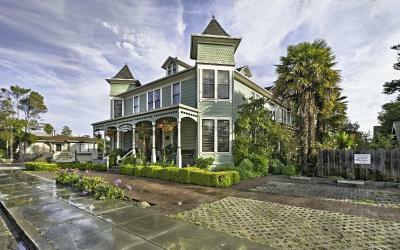 This property also has one of the top-rated locations in Pacific Grove! Guests are happier about it compared to other properties in the area. 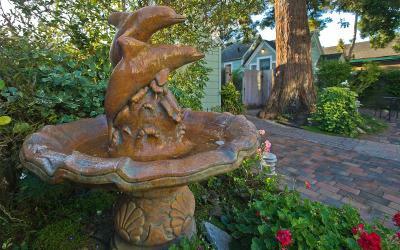 This property is also rated for the best value in Pacific Grove! Guests are getting more for their money when compared to other properties in this city. 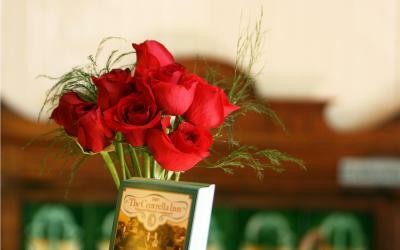 When would you like to stay at Centrella Inn? This uniquely decorated room features garden or residential views. This room cannot accommodate children under 10 years old. Maximum occupancy for this room is 2 guests. Features a private entrance, patio and fireplace. Please note: This room cannot accommodate children under 10 years old. These two romantic suites occupy the entire 3rd floor providing the ultimate privacy. They are large open spacious rooms with lots of windows and skylights. This suite features a fireplace and spa bath. 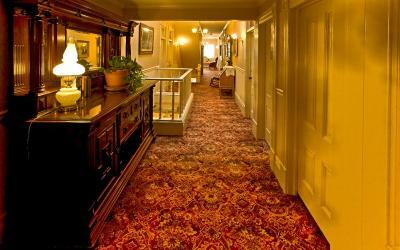 Capture the romance and charm of the Victorian-era at the Centrella Inn. Situated in Pacific Grove near California's beautiful Monterey Bay, our historic boutique hotel is ideally located for guests to discover the area's wide array of stunning beaches, shops, restaurants, art galleries and cultural sites. For more than a century, this award-winning Monterey hotel and National Historic Landmark has been a peaceful, romantic retreat for unforgettable getaways and family vacations. 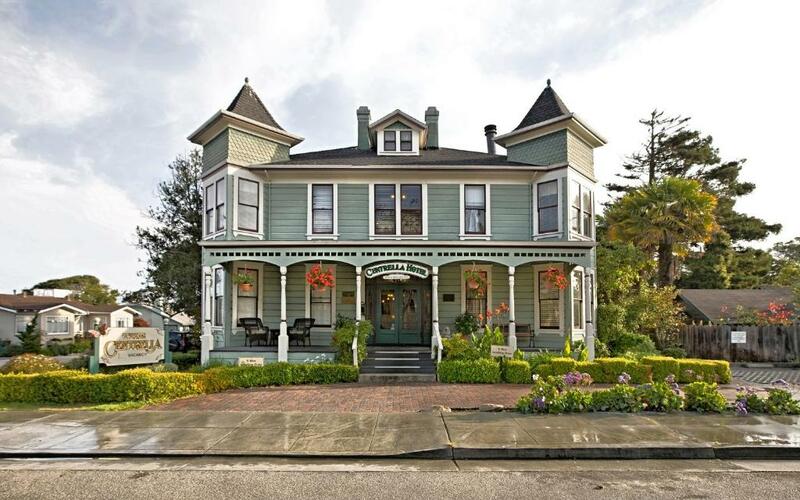 njoy Victorian-styled rooms with antique fixtures, furnishings and décor at our historic Pacific Grove hotel, which offers charming boutique guest rooms and suites. Our spacious accommodations offer plenty of privacy for those seeking a romantic getaway weekend or a relaxing seaside vacation, and each room is outfitted with a fine collection of deluxe amenities. Discover old-fashioned claw-foot bath tubs, antique potbelly fireplaces, intimate Jacuzzi suites and horizon ocean views as a guest of our Monterey hotel. House Rules Centrella Inn takes special requests – add in the next step! Centrella Inn accepts these cards and reserves the right to temporarily hold an amount prior to arrival. 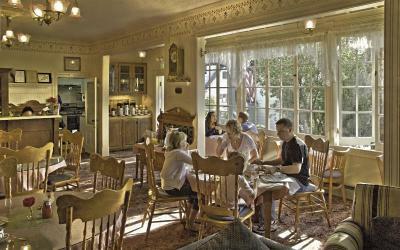 The Victorian Cottages are able to accommodate children 10 years or under. The Main House cannot accommodate children 9 years and under. All children 5 years and older, and adults are charged a 40 USD per person fee per night when using existing beds. There is 1 dog-friendly Cottage at the property. Maximum 2 dogs, each under 50 pounds. The Main House cannot accommodate pets. Contact the property for full details. Please call the Inn if your arrival time is later than 21:00 to make arrangements. 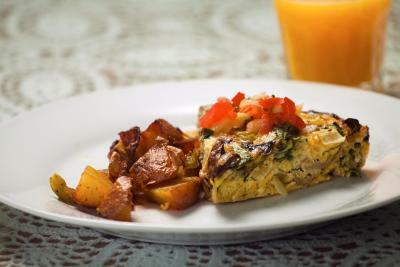 The breakfast is chef-made and is fresh and hot each morning. The menu changes daily. Please note there is a nightly pet fee assessed per pet. Please contact hotel for pet room availability and restrictions. Please inform Centrella Inn of your expected arrival time in advance. You can use the Special Requests box when booking, or contact the property directly using the contact details in your confirmation. We stayed in room 2, which is a downstairs corner unit on a very busy 4 way stop intersection. Also, the front door to the building is next to room 2; so it was a bit noisy. And the bed wasn't all that comfortable. Very minor....a small problem with one of the TV's. On the second night we had to park down the hill but no problem really....have done that in the past too. Bed mattress was a bit too soft for my liking. Would have preferred pancakes over waffles. Staff was just wonderful & friendly. Would of liked dresser to put my close. Bathroom small, no space to put your things. The parking is limited at the hotel, only five or so spaces and was full when we arrived so be aware you will have possibly to find somewhere on the street. Great location close to the sea. Good breakfast. The breakfast wasn't as good as past visits. No fruit offered or more options for juice. 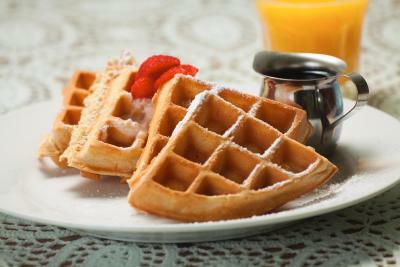 Late breakfast start for those that want to get up early and go. Hard to control heat in room. Would be nice to have the staff tell you what's happening around town. An extremely welcoming B&B Lodge, the main accommodation is in a Victorian historic building and was exceptional, we booked purely on Booking.com recommendations. The rooms were perfectly decorated with period furniture, the daily 17:00 wine tasting in the lobby/restaurant complete with complimentary nibbles was a great way to meet other guests and we made sure that we socialised every evening, chatting with visiting Americans - I think we all put the world to rights by the end of our stay. Scott was a fantastic Manager and had recommendations for walks, visits and where to eat. The breakfasts were cooked to order and were typical home style country fayre, a fantastic selection of juices, breads and cereals to add to the cooked items. The home made cookies and coffee seemed to be available 24 hours a day. More food at breakfast and maybe more room. Not all guests can fit in the dining area at once. Stairs, although they did offer to help with the luggage. Since it's downtown, there is some street noise, and if you tried to leave the windows open, the breeze rattled the door to the room.